Ever since the Vermont Workers’ Center started the Workers’ Rights Hotline in 1998, we have heard from countless workers and their families about the hardship and suffering caused by the lack of paid sick days. It has become clear that the right to paid sick days is critical for the well-being of workers, their families and our communities. It is core to our human right to a safe and healthy workplace, our human right to health and healthcare, and our need to hold down a job and take care of our family at the same time. 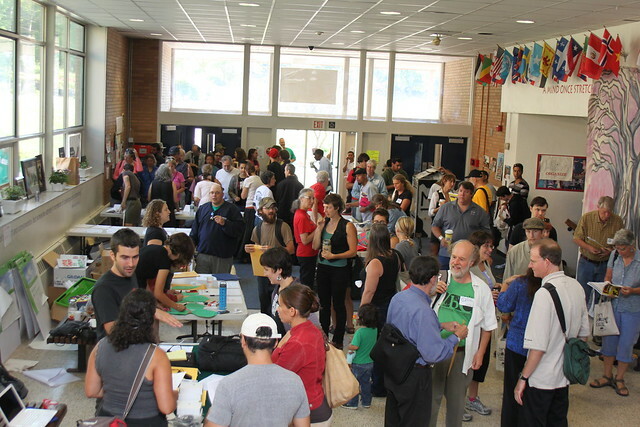 The People’s Convention for Human Rights is being held August 31 - September 2, 2012 in Burlington, Vermont. You should check out the website (http://vtpeoplesconvention.org/) and definitely register. There are many reasons why you will be excited to have come, but here is my top ten and their order is pretty much interchangeable. See you this weekend!